Generally, twins and other multiples are born earlier than singletons. This is useful information to have, as it means you'll need to be prepared for your new arrivals as early as 28 weeks after conception. It's also important to know that twins are more likely than singletons to require at least a few days in the hospital before coming home. Why Are Twins Often Born Early? There are a variety of reasons why twins are often born before the usual 37 weeks. The risk of preterm labor and premature birth are heightened when there is more than one baby in the womb. Other conditions such as preeclampsia, placental dysfunction, and TTTS are more prevalent in twin pregnancy and increase the risk of an early delivery. How Early Should You Expect Your Twins? Research from the National Organization of Mothers of Twins Clubs (NOMOTC) indicates that about half of multiples are born before 36 weeks gestation. 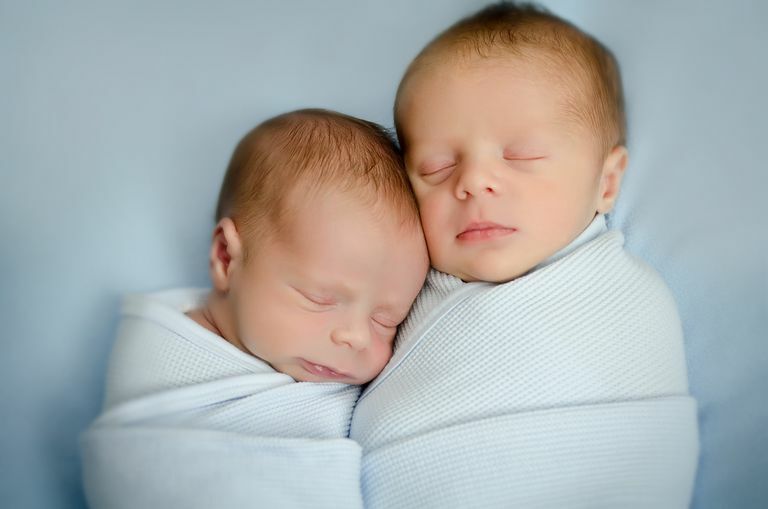 The National Vital Statistics Report for 2009 reports that 60% of twins were born preterm (less than 37 completed weeks of gestation) and 11.4% were considered very preterm (less than 32 completed weeks of gestation). There's no way to know exactly when your babies will be born. In some cases, a premature birth cannot be avoided. Some doctors feel that 37 or 38 weeks should be considered full-term for twins and will seek to prompt the delivery of the babies at that time. A 2006 study found that twins delivered past 40 weeks were more likely to have lower APGAR scores and a higher mortality rate; however, it also concluded that there were no additional health benefits for babies delivered at thirty-seven or thirty-eight weeks. In 2012, researchers from Adelaide University concluded that 37 weeks was the ideal gestation for twins, citing that babies born after that point faced an increased risk of slowed growth, resulting in low birth weight and other potential health complications. Consult with your medical caregivers to determine the best course of action for your pregnancy and delivery in order to ensure the healthiest outcome for both mother and babies. American College of Obstetricians and Gynecologists. Multiple pregnancy. Web. 2016.